established himself as a prominent member with seven appearances. How is the injury you sustained on your Nigeria debut on March 5? high, the mood is set and I am positive. Have the football federation officials been in touch with you since you sustained the injury? the whole situation even though I am injured. Are you hoping to visit Nigeria soon now that you have made your debut? How did you feel when you got an invitation for the Mexico friendly match? everybody and to put on the Nigerian uniform. How were you received when you got to Atlanta for the match? made it really easy for me to get in. What was your first impression of Stephen Keshi as a coach? door is always open and that is what players like. How did you feel playing for Nigeria for the first time? overcomes the stupid injury I had on my debut. Would you say your World Cup dream is over with the injury? which makes me still hope to be fit maybe for the game against Scotland. for the World Cup; there is enough time left. Why did you opt for Nigeria instead of Germany, since you were eligible to play for both countries? You were born and raised in Germany. Do you see yourself as a Nigerian or a German? Nigerian, half German and I am proud of both countries. Born to a Nigerian father and German mother, Balogun was called up by Nigeria for a March 2014 friendly against Mexico as a replacement for Joseph Yobo. media that his injury did not require surgery. qualifying for the 2017 African Nations Cup. countries rather than African countries? they showed me so much love and respect. What do you hope to achieve with the Eagles? always say if your dreams don’t scare you, then they are not big enough. Maybe one day, we will make it. How are you doing at Fortuna Dusseldorf in the German second division? Do you like Nigerian food? with my parents anymore, I don’t eat it as much but of course I know fufu and I love it as well. of English from time to time and that’s okay. Lots of black players have been victims of racism across Europe. Do you have any experience? or people giving you strange looks but its better now. Who is your football role model? as a striker. Even now, I think he was just an amazing player. model, I can’t. There are many players I adore in different positions. Are you hoping to play outside Germany? England would be very tempting. the lyrics of my favourite songs and try to understand what they mean. I have just a sister and my parents. No, but I have a girlfriend, a German. 1. 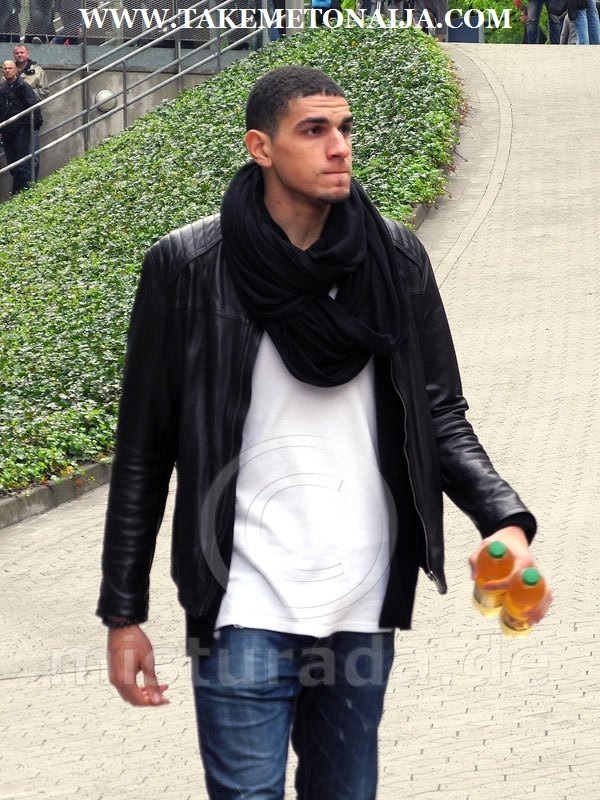 Leon Aderemi Balogun was born on June 28th 1988 In Berlin. 2. He was born to a Nigerian father who reportedly hails from Ijebu Ode and a German mother. 3. He made his Bundesliga debut on 19 April 2009 for Hannover 96 in a game against Hamburger SV. 4. Balogun was called up by Nigeria for a March 2014 friendly against Mexico as a replacement for Joseph Yobo. 5. On 25 March 2015, he played his second game for Nigeria in a 1–0 loss against Uganda. the 2017 African Nations Cup. 7. The 29 year old helped Nigeria secure their spot in The World Cup in Russia with their 1-0 victory.